What’s It About? 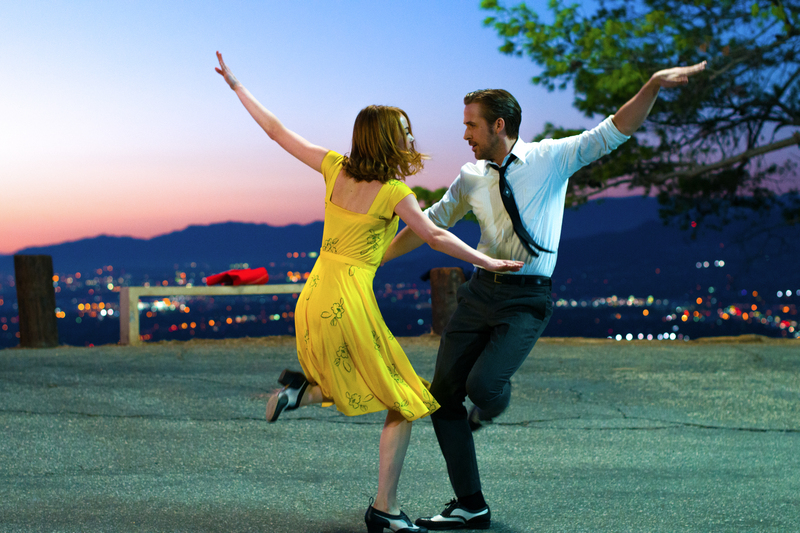 An irresistible explosion of toe-tapping song and dance brought to life in vivid colours, that’s writer-director Damien Chazelle’s melodious musical movie La La Land. Verdict: Right from La La Land’s opening number, Another Day of Sun, which is set in one of those typical LA traffic jams, the movie practically bursts off the screen in a vibrant whirl that highlights oh so many of its strengths. The film immediately challenges our ability to sit still in our seats as it takes us into full-on MGM musical territory through its deliciously jazzy opening tune and swirling dance routines choreographed by Mandy Moore, who throws in everything from flamenco to hip hop, and skateboards to parkour. Director Damien Chazelle’s regular composer Justin Hurwitz joins forces with musical theatre composers Benj Pasek and Justin Paul to create a soundtrack that manages to mix a feeling of the fresh with the familiar, leading us through wistful and haunting numbers, to swooning songs, and lavish and optimistic tracks. Straight away during the opening, you’ll notice the film’s gorgeous ultra-fluid cinematography, thanks to Linus Sandgren, who was also behind the camera on American Hustle and Joy. And costume designer Mary Zophres’ dazzlingly colourful confections positively pop out of the screen throughout the movie. 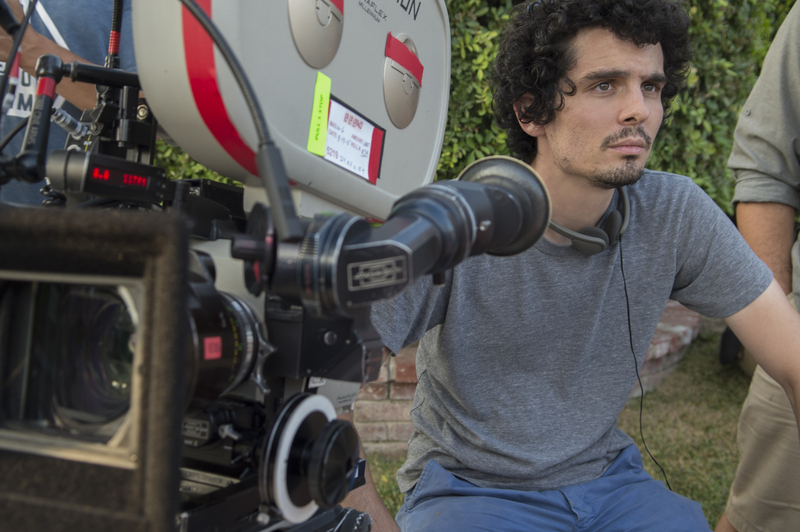 Writer-director Damien Chazelle’s last film was the superbly compelling Whiplash about an ambitious young drummer and his cruel instructor. And in La La Land, Chazelle had another award-winning hit on his hands. The movie cleverly mixes humour and full-on escapism with harsh reality, and draws on the golden age of musicals made by the likes of Fred Astaire and Ginger Rogers, Gene Kelly, and writer-director Jacques Demy. Expect everything from dream-like sequences, the pure stuff of Hollywood musicals, to meta-as-hell moments about the place of musicals in the cynical 21st century. There are many moments that are truly mesmerising in La La Land, though there’s the odd one that goes on too long, for example, a dinner-time argument. Casting Ryan Gosling and Emma Stone in the leads as jazz pianist Sebastian and aspiring actress Mia was a stroke of genius by Chazelle. Not only are they both talented actors, but they look like a classic on-screen couple and share a palpable chemistry, which they mined to great effect in Crazy, Stupid Love and Gangster Squad, and which also works wonderfully in this LA-based story of a blossoming love affair and its effect on the characters’ artistic dreams in the City of Stars. Both actors put in a ton of work in terms of song and dance training, and Gosling also learnt to play the piano. Unlike classic musical stars such as Gene Kelly or Judy Garland, Gosling and Stone are actors first and singers and dancers second, but they’ve worked really hard to make everything look natural on screen, and it’s paid off. Their moves are as smooth as silk and there’s a sweetness and emotion in Stone’s voice, which fits her character perfectly, while, suitably enough, there’s a touch of jazz legend Chet Baker in Gosling’s voice. By the way, also, look out for John Legend, who gives a nice turn as a successful musician friend of Sebastian’s, and there are also some lovely little cameos by Rosemarie DeWitt as Seb’s sister and as Seb’s boss, JK Simmons, who won a barrage of awards when he last teamed up with director Chazelle to star in Whiplash. Extras: There are plenty of featurettes to enjoy on the Blu-ray which cover all aspects of the movie from acting, rehearsals, cinematography, production design, music composition, and much more, including, Audio Commentary With Writer-Director Damien Chazelle and Composer Justin Hurwitz; Another Day Of Sun: They Closed Down A Freeway; La La Land’s Great Party; Ryan Gosling: Piano Student; Before Whiplash: Damien Chazelle’s Passion Project; La La Land’s Love Letter To Los Angeles; The Music Of La La Land; John Legend’s Acting Debut; The Look Of Love: Designing La La Land; Ryan And Emma: Third Time’s The Charm; Epilogue: The Romance Of The Dream; Damien & Justin Sing: The Demos; Marketing Gallery; Song Selection. Final Words: La La Land is a beautifully designed and shot, gorgeous candy-coloured clash between nostalgia and novelty, part head-in-the-clouds fantasy and part kick-in-the-head reality, an exuberant and touching bittersweet spectacle with delightful song and dance numbers given life by a classic on-screen duo of movie stars, directed with panache by Damien Chazelle. LA LA LAND dances it way on to DVD, Blu-ray, 4K Ultra HD Blu-ray, & Limited Edition Steelbook on 15 May 2017, and is available on Digital Download now!